This is the Lion Steel Bolus Clip Jack, has Stag handles and Titanium liners. The blade steel is M390 and finish is Satin. *Our opinion: The pull is a 5. The Lion Steel effort on this run as compared to their entire catalog is 7. Beautiful stag on this one. I liked the frame so much it was hard to wait for the blade shape I wanted, but I am glad I did. 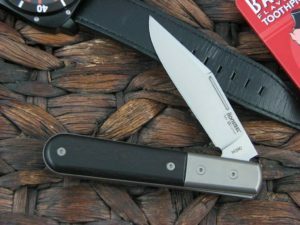 I think it is most appropriate to compare this knife with the CK shuffler, which I also really like. This has a little more blade height than on the shuffler, a touch more cutting edge. The action feels really similar, but the pull feels a little more firm, which for me is a good thing. 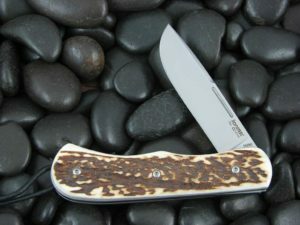 This knife fits in well with my other favorite slipjoints like my GEC 54, and my bullnose in size and function . Won’t be leaving my pocket for a long time now. As usual prompt shipping and excellent customer service from Mike. Now it’s the end of the month and I’ve had it nearly every day. 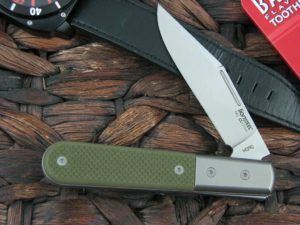 Easily my favorite pocket knife. 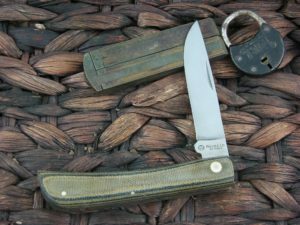 The only way Mike could get me to buy another one would be to come out with a version with a 4″ blade (ala queen mountain man/ GEC 42).